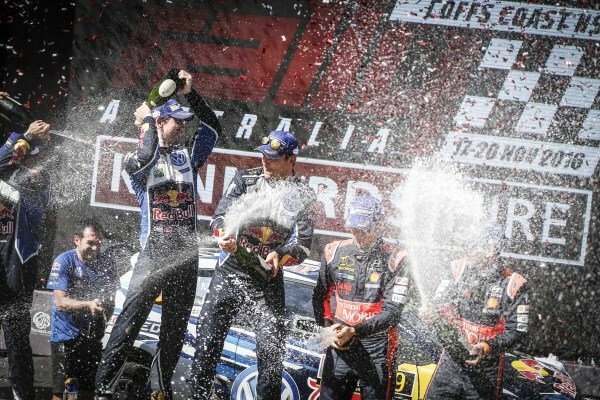 Rally winners Andreas Mikkelsen (NOR) / Anders Jaeger Synnevag (NOR), Volkswagen Motorsport II WRC and second placed Sebastien Ogier (FRA), Volkswagen Motorsport WRC celebrate on the podium at FIA World Rally Championship, Rd13, Rally Australia, Day Three, Coffs Harbour, New South Wales, Australia, 20 November 2016. 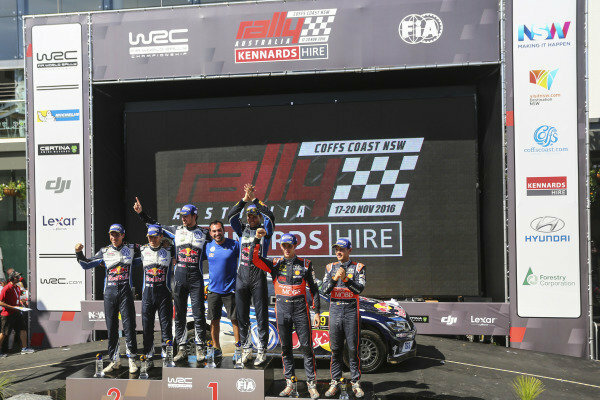 Rally winners Andreas Mikkelsen (NOR) / Anders Jaeger Synnevag (NOR), Volkswagen Motorsport II WRC and Sebastien Ogier (FRA) / Julien Ingrassia (FRA), Volkswagen Motorsport WRC celebrate with the team at FIA World Rally Championship, Rd13, Rally Australia, Day Three, Coffs Harbour, New South Wales, Australia, 20 November 2016. 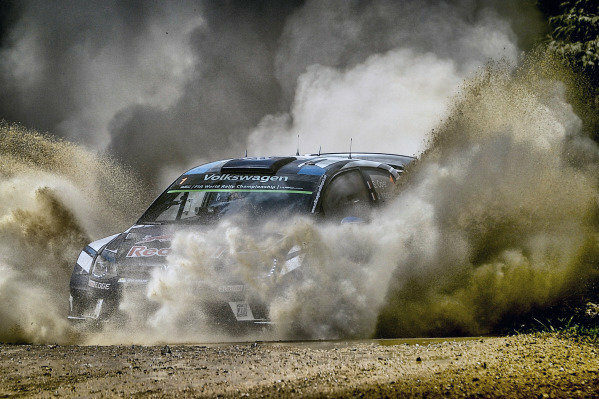 Jari-Matti Latvala (FIN) / Miikka Anttila (FIN), Volkswagen Motorsport Polo R WRC at FIA World Rally Championship, Rd13, Rally Australia, Day Three, Coffs Harbour, New South Wales, Australia, 20 November 2016. 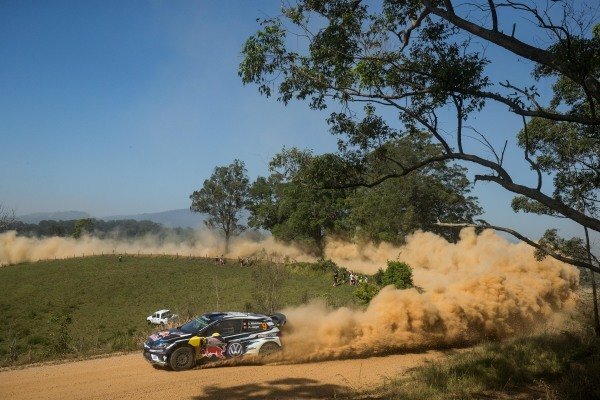 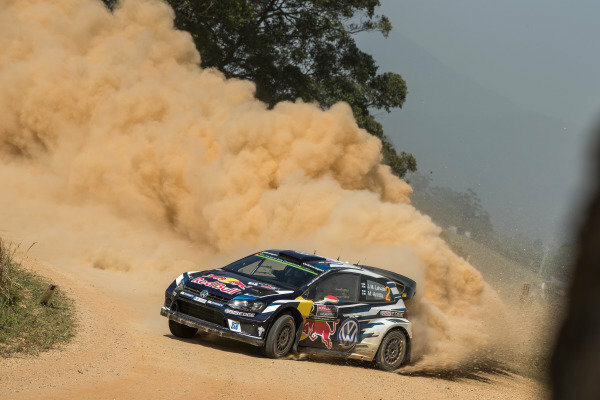 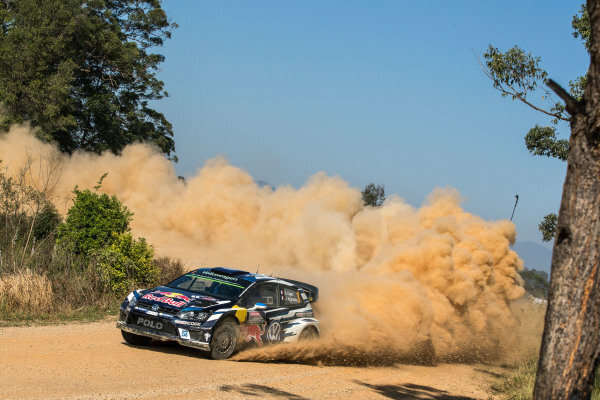 Sebastien Ogier (FRA) / Julien Ingrassia (FRA), Volkswagen Motorsport Polo R WRC at FIA World Rally Championship, Rd13, Rally Australia, Day Three, Coffs Harbour, New South Wales, Australia, 20 November 2016. 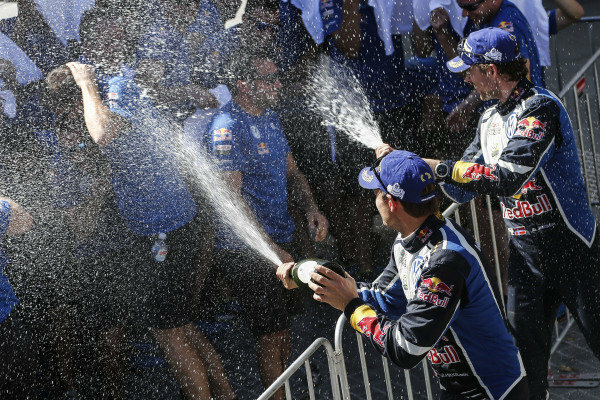 Rally winners Andreas Mikkelsen (NOR) / Anders Jaeger Synnevag (NOR), Volkswagen Motorsport II WRC celebrate on the podium with the champagne at FIA World Rally Championship, Rd13, Rally Australia, Day Three, Coffs Harbour, New South Wales, Australia, 20 November 2016. 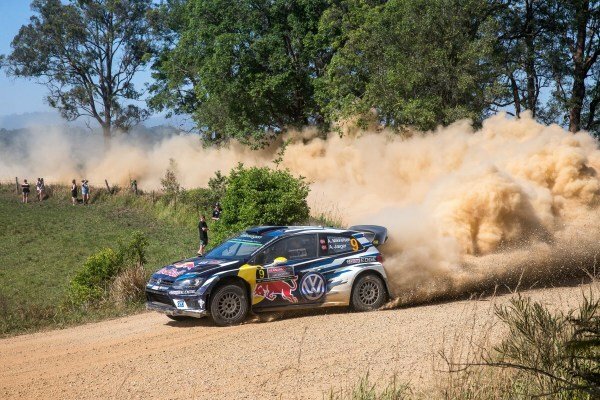 Rally winners Andreas Mikkelsen (NOR) / Anders Jaeger Synnevag (NOR), Volkswagen Motorsport II Polo R WRC at FIA World Rally Championship, Rd13, Rally Australia, Day Three, Coffs Harbour, New South Wales, Australia, 20 November 2016. 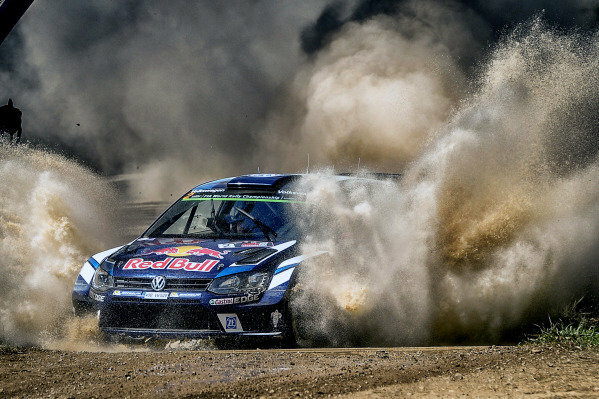 Andreas Mikkelsen (NOR) / Anders Jaeger Synnevag (NOR), Volkswagen Motorsport II Polo R WRC at FIA World Rally Championship, Rd13, Rally Australia, Day Three, Coffs Harbour, New South Wales, Australia, 20 November 2016. 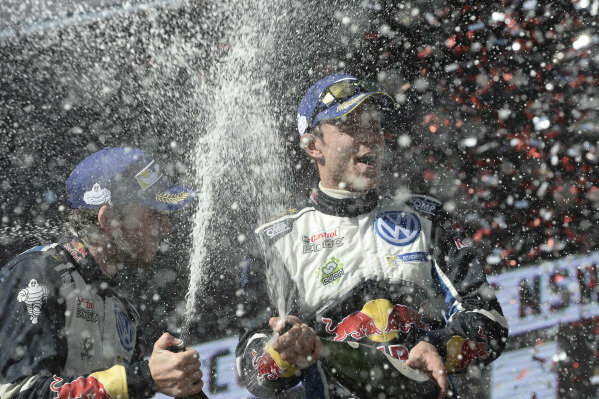 Rally winners Andreas Mikkelsen (NOR) / Anders Jaeger Synnevag (NOR), Volkswagen Motorsport II WRC and third placed Thierry Neuville (BEL) / Nicolas Gilsoul (BEL), Hyundai Motorsport N WRC celebrate on the podium with the champagne at FIA World Rally Championship, Rd13, Rally Australia, Day Three, Coffs Harbour, New South Wales, Australia, 20 November 2016. 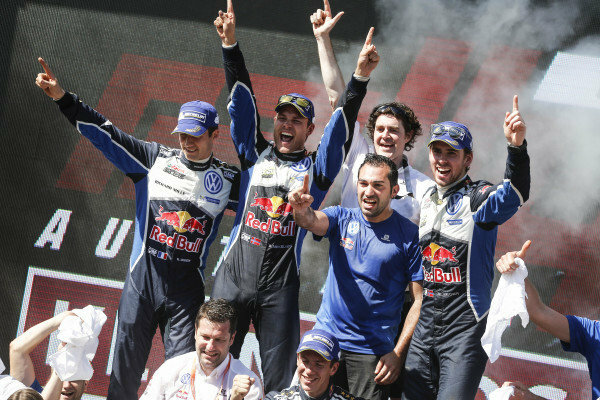 (L to R): Second placed Sebastien Ogier (FRA) / Julien Ingrassia (FRA), Volkswagen Motorsport WRC, rally winners Andreas Mikkelsen (NOR) / Anders Jaeger Synnevag (NOR), Volkswagen Motorsport II WRC and third placed Thierry Neuville (BEL) / Nicolas Gilsoul (BEL), Hyundai Motorsport N WRC celebrate on the podium at FIA World Rally Championship, Rd13, Rally Australia, Day Three, Coffs Harbour, New South Wales, Australia, 20 November 2016. 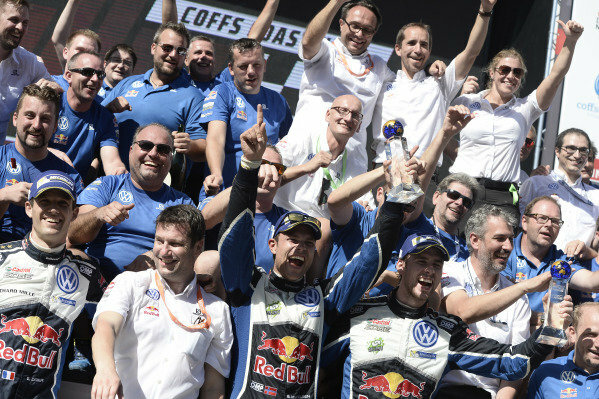 Sebastien Ogier (FRA) / Julien Ingrassia (FRA), Volkswagen Motorsport WRC, Jari-Matti Latvala (FIN) / Miikka Anttila (FIN), Volkswagen Motorsport WRC and Andreas Mikkelsen (NOR) / Anders Jaeger Synnevag (NOR), Volkswagen Motorsport II WRC celebrate their last WRC event with the team at FIA World Rally Championship, Rd13, Rally Australia, Day Three, Coffs Harbour, New South Wales, Australia, 20 November 2016. 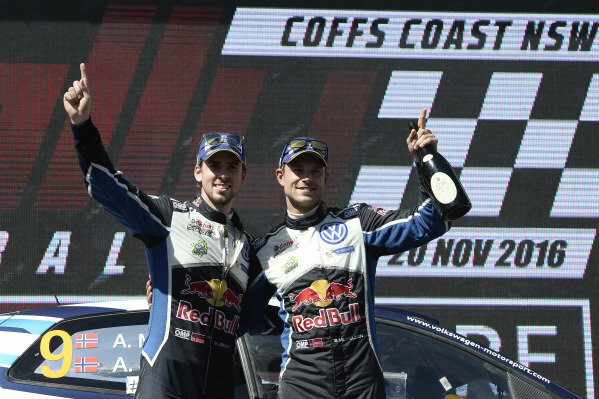 Rally winners Andreas Mikkelsen (NOR) / Anders Jaeger Synnevag (NOR), Volkswagen Motorsport II WRC celebrate on the podium with the trophies at FIA World Rally Championship, Rd13, Rally Australia, Day Three, Coffs Harbour, New South Wales, Australia, 20 November 2016. 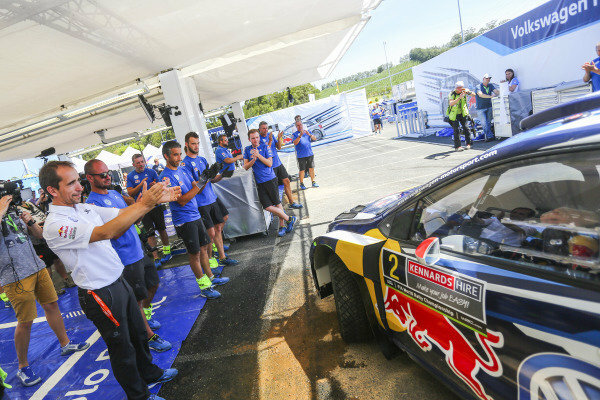 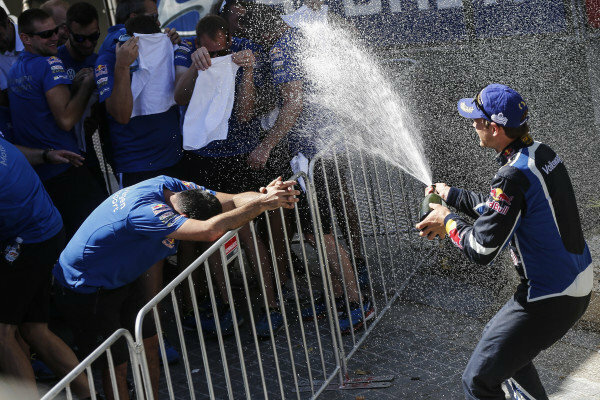 Rally winner Andreas Mikkelsen (NOR), Volkswagen Motorsport II WRC celebrates on the podium wth th champagne at FIA World Rally Championship, Rd13, Rally Australia, Day Three, Coffs Harbour, New South Wales, Australia, 20 November 2016. 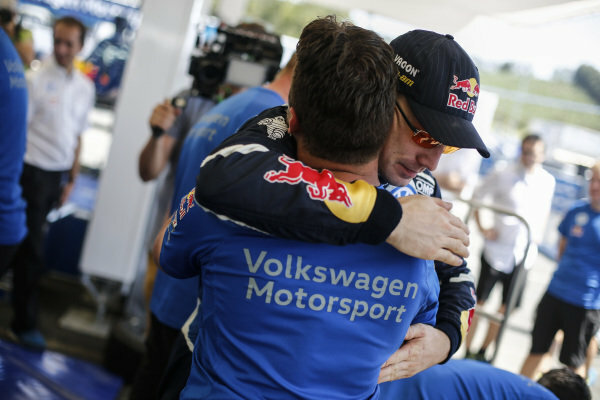 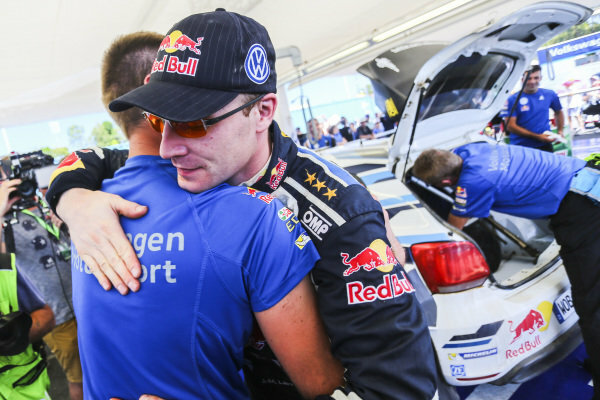 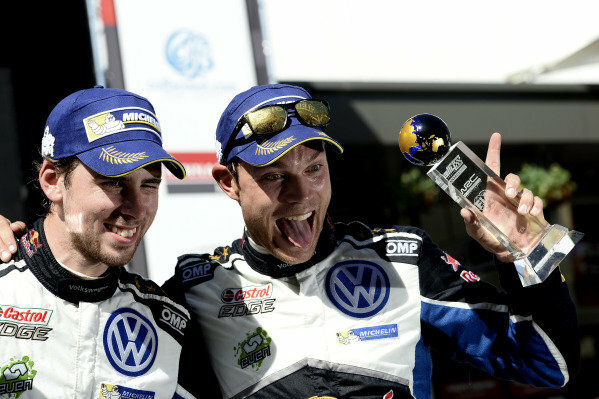 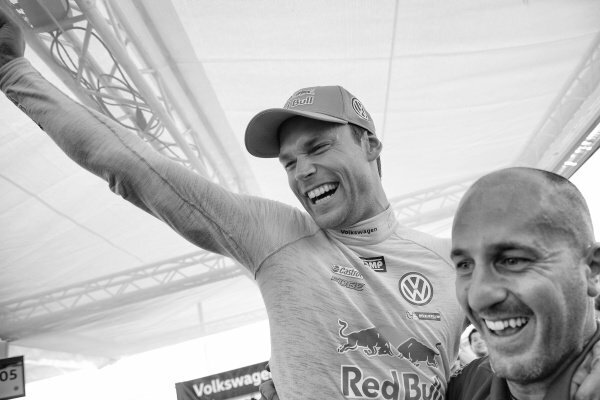 Raly winners Andreas Mikkelsen (NOR) / Anders Jaeger Synnevag (NOR), Volkswagen Motorsport II Polo R WRC celebrate on the podium at FIA World Rally Championship, Rd13, Rally Australia, Day Three, Coffs Harbour, New South Wales, Australia, 20 November 2016. 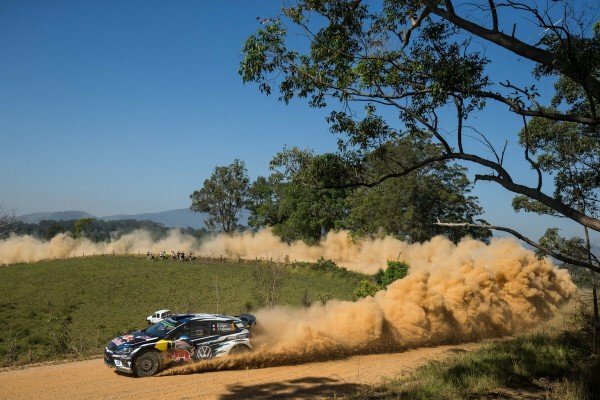 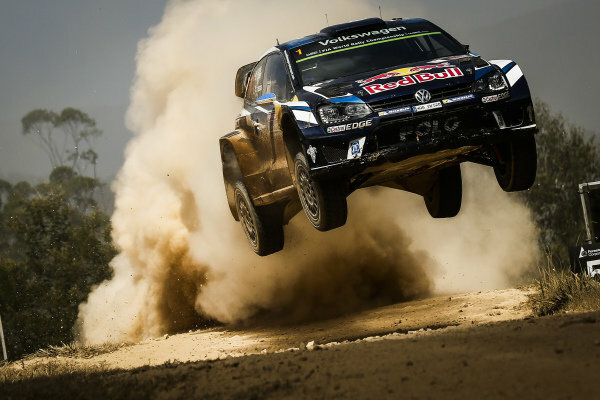 Jari-Matti Latvala (FIN), Volkswagen Motorsport WRC at FIA World Rally Championship, Rd13, Rally Australia, Day Three, Coffs Harbour, New South Wales, Australia, 20 November 2016. 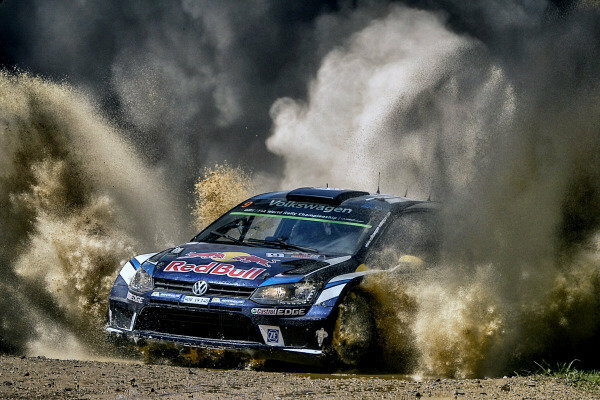 Rally winner Andreas Mikkelsen (NOR), Volkswagen Motorsport II WRC celebrates at FIA World Rally Championship, Rd13, Rally Australia, Day Three, Coffs Harbour, New South Wales, Australia, 20 November 2016.